Today companies are looking in a backup solution a suite which guarantee data protection with a reduced time to restore to meet SLA regardless the infrastructure and platform where data and services are placed on. For this reason the term “backup software” is changing into “availability suite” Focusing on platform, the needs of restore data in minutes instead of hours is what a secondary storage is able to do to avoid to much service outage and bringing data inline as soon as possible. Rubrik brings together a software solution and a physical appliance in a single product able to cover the major part of scenario in terms of cloud data protection. Among the product features, the ability to protect data across cloud systems and instant recovery SQL server represent the coolest parts showed during Cloud Field Day. Rubrik, a software company situated in Palo Alto CA, is a growing reality nominated “Best of VMworld 2016” and Cool Vendor 2016 by Gartner. Like its competitor, it started as a backup solution company working in other vendor ecosystems like VMware and Microsoft but embracing the concept of cloud data protection. Today this company can boast a lot of scenarios that gains the attention of many solution specialist and cloud architects around the world. edge: for virtualized and physical environment and able to replicate data into physical appliance (useful for branch office and remote backup) or archive data into public/private cloud. Replication and DR: a “must you have” feature that now represents the baseline for a new backup software. 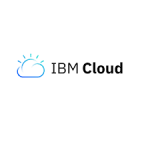 Moving into the cloud field, the hybrid multi-cloud approach is the peculiarity the bring this platform to an higher level. Near the “simple” replication, the ability to DR into cloud reducing RTO (and TCO) is what could really help every companies to meet SLA and reduce the unavailability of services and data lowing the risk of investment. Support for Virtual and Physical Environment: other than the classic VMware and Hyper-V, the support of Nutanix AHV (Acropolis virtualization by Nutanix https://www.nutanix.com/products/acropolis/virtualization/) and the covering for physical Windows/Linux infrastructure is a good strategy to penetrate the traditional market and ensure the transition to new IT infrastructure models. 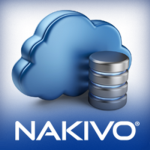 Data archival for managing long-term data across public or private cloud. Ransomware Recovery: an interesting way to recover the problem of the year for many companies. Using forever incremental backups is possible to instant restore the altered file in few minutes at a predefined pointing time. DR into the cloud (or bring workload into the cloud): nothing new, but the image conversion between in premise and public cloud architectures is the new baseline and the challenge of the year seems to be in how many public cloud are supported in backup system. Cloud Native Backup: obviously the bad thing that a new generation platform should to do in these last years is don’t support cloud native architecture and stack. 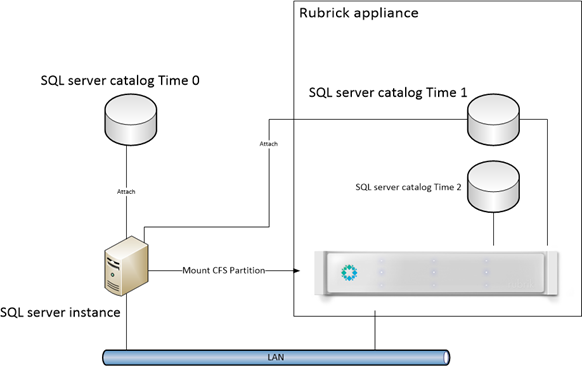 About critical application, Rubrik has a feature that deserve a particular attention in the “old fashion” world of tiered application: the ability to instant recovery SQL server and bring it live without wasting time during restoring. Personally, I don’t like working with tier-1 or monolithic application due to the impact of a single component to the entire application. In my life I see a lot of critical applications fail due to the lack of consideration for data and service protection. SQL server with Oracle are the two main choices for developers (old-school developing) to realize vertical applications for enterprise companies. For this reason, loosing database means loose service and application together. SQL server is not a monster, but in some scenarios the needs to have service and data healthy, implies more than a backup system. Sure, always-on with consistency groups represent the effective solution to ensure the SLA; but in some scenario to have backup data instantly online for comparison (or restore) is nearest feature that Rubrik could offers to their customer in a single platform. Finally the application guy could check/align data (tables, records,…) or use it as a sandbox. What could be done next? Near instant SQL dataset mount, the “live” motion to the definitive storage could be an improvement to ensure the automated “bring-to-production” for a restored database. Chris Wahl (@ChrisWahl), Chief Technologist at Rubrik starts the meeting with a “buzzword game intro” and presenting company, vision and awards and, of course, the product! One of the important part of the show is represented by the fact that Rubrick is Rack and Go backup infrastructure able to auto discover the workload to protect, secure and recover on-premise and off-premise workload. An interesting point around “CloudOn” feature is the ability to create Test/Dev sandbox simply using a backup system! Thinking a simple backup system, this could be an unusual way but could deserve an important role in application lifetime. Application team may appreciate this feature as well as the ability to recovery data for testing new features (sometimes it happens). The presentation ends with SQL Server Live mount demo presented by Andrew Miller (@andriven) and Michael Fal (@mike_fal), database solution engineer at Rubrik. The way when you “lift and shift” services and from many cloud systems (private cloud included) is realized by Rubrik simply detaching data layer from service layer and make a cross-cloud integration. In the same way Rubrik deals with the major part of the on-premise services without changing the backup solution. And this is what make really happy the major part of sysadmins and operations teams! There are many improvement (partially in roadmap) that could be taken in the future, but the cloud path followed by Rubrik is good and seems to cover more and more application needs. Following the direction of cost reduction, is Rubrik give the first saving keeping your DR plan healthy and protecting data in-out public cloud platforms. Next, SQL server live mount could be a new way to reduce RTO keeping service uptime and restoring data in the smaller time-window. Finally, usability is really good and in the same way the level of automation could solve old and new application data protection, mitigating risks from data unavailability, ensuring disaster recovery and respecting compliances and needs to restore data every day and in emergency.